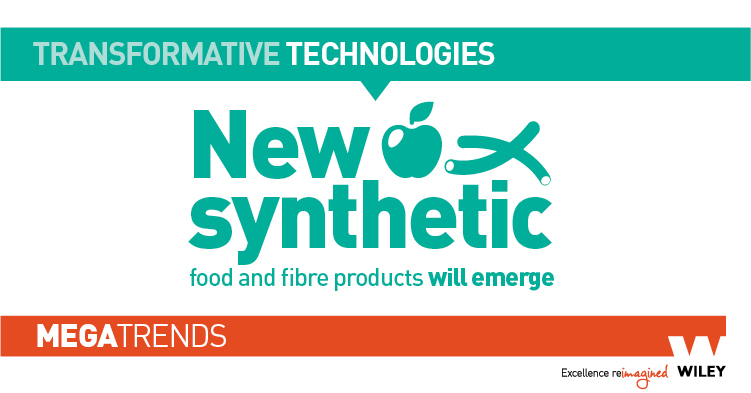 The fourth in our CSIRO Megatrends series focuses on the direct impact of new technologies on the Argrifood sector. Recently, CSIRO in conjunction with the Rural Industries Research and Development Corporation (RIRDC) released the Rural Industry Futures report. Five “megatrends” were identified in the report that will affect the Agribusiness industry in the coming 20 years with a particular focus on the opportunities within Asian markets. The unique challenges and opportunities presented by the forth megatrend are summarised below. 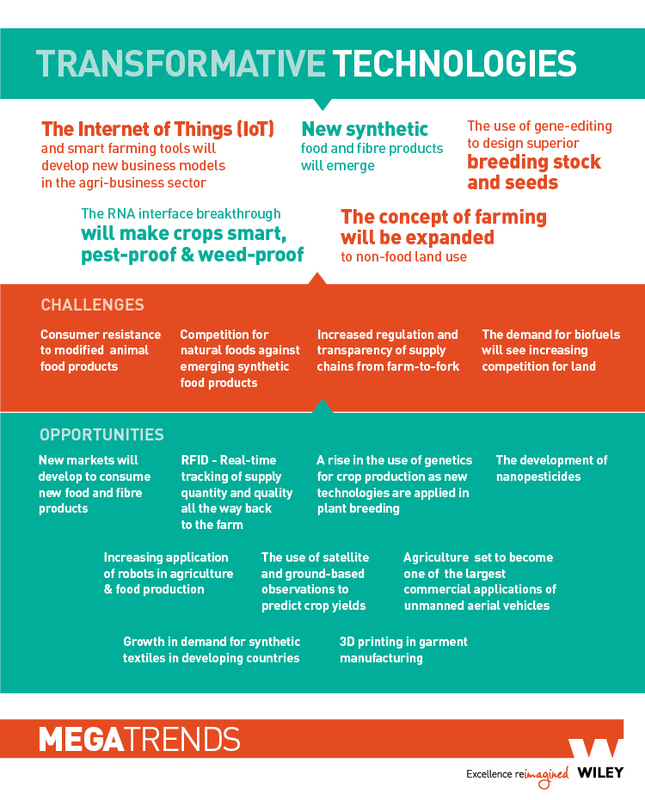 Advances in technologies and the Internet of Things (IoT) will lead to the development of smart farming tools and new business models within the Agribusiness sector. The use of robotics will increase across the Agribusiness sector from farm operations through to automated production systems. Integrated data collection systems and advances in remote sensing imagery will lead to improved forecasting and decision making processes in livestock and crop production. New synthetic food products will emerge; while the RNA interface breakthrough and the use of gene editing will lead to smart crops and superior seeds. Increasing consumer awareness of issues around health, ethics, sustainability and provenance combined with the application of technology within government and regulatory policy framework will lead to intense regulation of the whole supply chain, from farm-to-fork. The rise of synthetic foods will lead to increased competition for organic food products. Although consumers are generally more resistant to modified animal food products they have considerably less resistance to modified plant foods. As technology develops new products and business models, new Agribusiness markets will emerge to consume these products and services. Apart from the development of new synthetic foods and the use of robotics, advances in technology are likely to see the emergence of genetics in plant breeding as well as the use of nanopesticides. The agricultural sector is set to become one of the largest commercial applications of unmanned aerial vehicles (UAVs) which, combined with the use of satellites and other technologies, will help to predict crop yields, manage water stress and measure nutrient deficiencies and disease. Social media and the use of mobile apps allows companies to communicate with, and get their product to, their customers better and faster than ever before. The five megatrends identified in the Rural Industries Futures report provide an insight into the significant market opportunities and challenges within Asia in the coming years. Population and income growth will lead to increased demand for a higher quantity of more diverse and quality products. Consumers will be more informed and more empowered to make choices based on personal values rather than price. Advances in technology will lead to greater efficiencies in production and the risk associated with climate change and extreme weather events will lead to the emergence of entirely new markets. The Australian Agribusiness sector is positioned for growth and the developing nations of Asia will be a key component. The industry needs to capitalise on the ‘clean and green’ image of Australia as well as available technologies to communicate and build a relationship and social presence with their customers. Emerging technologies need to be adapted to address the unique challenges presented by our climate and available resources. The extent by which the Australian Agribusiness industry can take advantage of the market opportunities presented by these megatrends largely comes down to their ability to adapt and innovate. The full copy of the Rural Industry Futures Report can be downloaded on the RIRDC website.